Comes in a beautiful gate-fold Digipack. 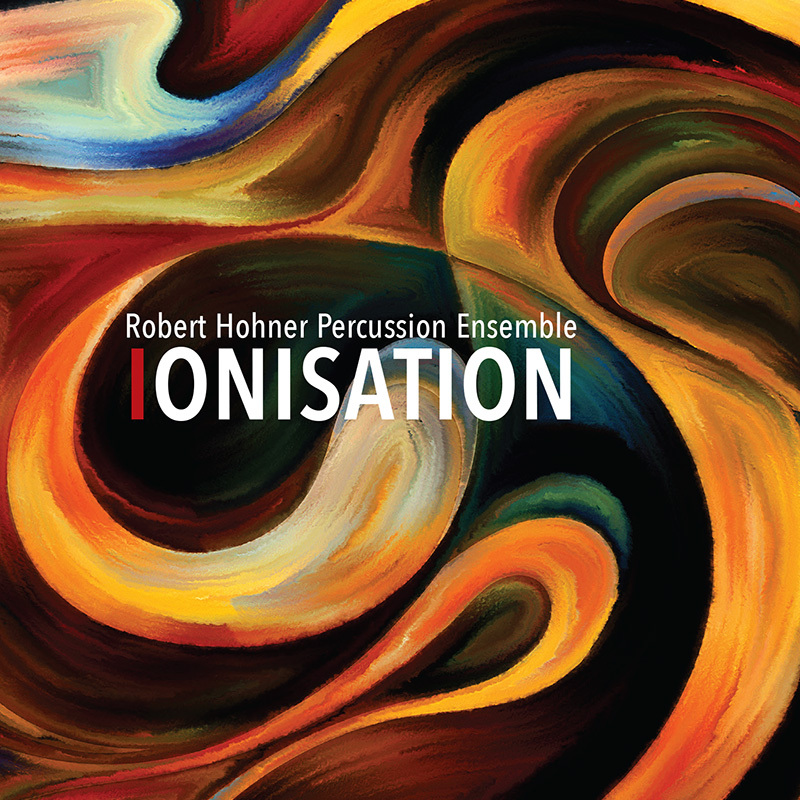 Ionisation is a classical percussion ensemble concert as imagined by late virtuoso and master teacher, Robert Hohner. Recorded in 1998, the recording was shelved with the sudden illness and passing of Mr. Hohner.  Years in the making, Music Starts From Silence (MSFS) collaborated with ensemble members and the Hohner family to obtain original recordings, as well as Robert’s notes. This release celebrates the life and legacy of Robert Hohner, through wonderfully captured performances of his internationally renowned ensemble.